Clinic Synopsis: Many commonalities exist between orchestras and bands, yet an unnecessary divide can develop between conductors of the two. This session will explore what each ensemble gains when listening critically to the other for important concepts including: transparency or sustaining of sound, dynamic ranges and extremes, parallels of breathing and articulation to bowings, and precise ensemble execution. Solutions will be suggested; audio and score examples will clarify session content. Clinician Biographical Information Dr. Erica J. Neidlinger is Associate Professor and wind conductor at DePaul University in Chicago. Additional responsibilities include teaching courses in wind history and repertoire, conducting courses, and instrumental music education courses. Dr. Neidlinger’s conducting experiences are broad, ranging from chamber ensembles, contemporary ensembles, symphonic bands, and wind ensembles. She has worked with some of the finest musicians in Chicago as featured artists with the DePaul ensembles. In addition, Dr. Neidlinger has conducted performances across the United States and in Europe. She has traveled to Singapore and Canada as an ensemble adjudicator and clinician and has been featured as a guest conductor and clinician in Latvia and Russia. Presentations at international conferences include the World Association for Symphonic Bands and Ensembles in Killarney, Ireland and the Midwest International Band and Orchestra Clinic. She has conducted honor bands and presented at many conferences across the United States, while also maintaining a highly active schedule as a clinician for ensembles visiting Chicago. Before her teaching at DePaul, Dr. Neidlinger served on the faculty of the University of Nebraska at Omaha, where she conducted university concert ensembles and directed the marching band. She has been a member of the band and music education faculty at The Ohio State University and has also served as conductor of the Nebraska Wind Symphony. 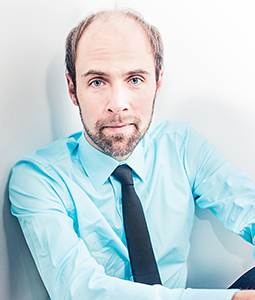 Second Clinician Biographical Information Michael Lewanski was appointed Assistant Professor of Instrumental Ensembles at the DePaul University School of Music in 2012 after having served as an adjunct professor since 2007; he enjoys a varied career as a champion of contemporary music and standard repertoire alike. He is the conductor of the DePaul Concert Orchestra, Ensemble 20+ (20th and 21st century music), and guest conductor of the DePaul Wind Ensemble and DePaul Symphony Orchestra. In addition to his work at DePaul, Michael is conductor of the internationally acclaimed Chicago-based Ensemble Dal Niente. He attended the 2012 Darmstadt International Summer Courses for New Music where Ensemble Dal Niente, under his direction, became the first ensemble to be awarded the prestigious Kranichstein Music Prize. Michael’s recent guest conducting has included collaborations with Lyric Opera of Chicago (the world premiere performances of a new work), chamber ensembles from the Chicago Symphony Orchestra, the Toledo Symphony Orchestra, the International Contemporary Ensemble (ICE), the Chicago Chamber Musicians, the Spektral Quartet, the Fifth House Ensemble, the Rembrandt Chamber Players, the Detroit Symphony Civic Youth Orchestra, Mocrep, and others. He has led over 100 world premieres. He served as the Conducting Assistant of the Civic Orchestra of Chicago from 2010 to 2014.